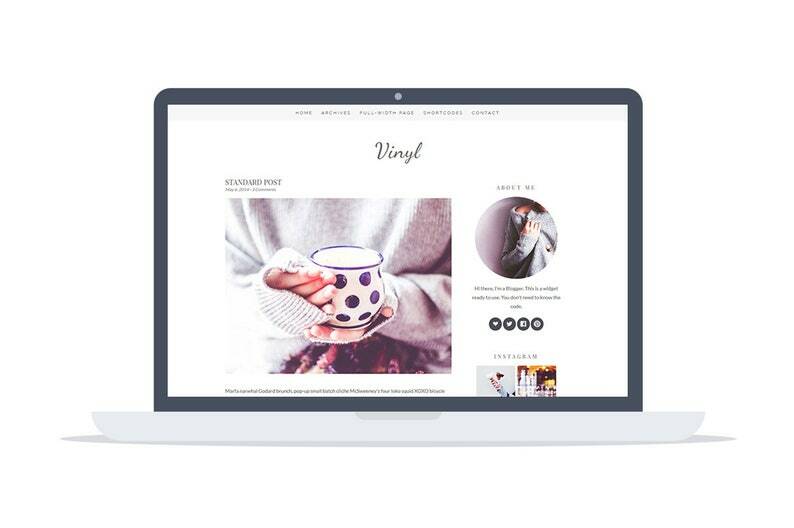 WordPress Theme "Vinyl" is an amazing responsive wordpress blog theme made by Hipster Theme which is just perfect for minimalist style lovers. It's simple and elegant, great for Bloggers. ► Responsive because it displays beautifully on mobiles and tablets. ► Cross-Browser compatible; Bowtie works in all modern browsers (tested in Chrome, Safari, Firefox, Opera, IE 9+, iOS and Android). ►►► WHAT WILL YOU RECEIVE? ► Guide "How to customize your new website"
►►► HOW DO YOU GET UPDATES? ► You don't need anymore to install updates manually. You'll receive the information in your dashboard automatically. The template is for Wordpress self hosted platform exclusively. Please ask a question if you are unsure which platform you are using. WordPress Theme "Organic Theme" - Minimal Responsive Wordpress Theme - Self Hosted - Perfect for Lifestyle bloggers, writers and foodies. Espresso - Minimal responsive Wordpress Theme - Self Hosted - Perfect for blogging while enjoying your morning coffee. Great experience shopping here! Highly recommend! Thank you for the quick response and manual to help me set it up. Great customer service! He was easily accessible to any questions I had and also helped me install my template since I am completely new to blogging.